How amazing are these pants! I bought them over black Friday and have worn them so much since. They seriously fit like they were made for me and they go with everything. I wore them to a class presentation, to work and to dinner! 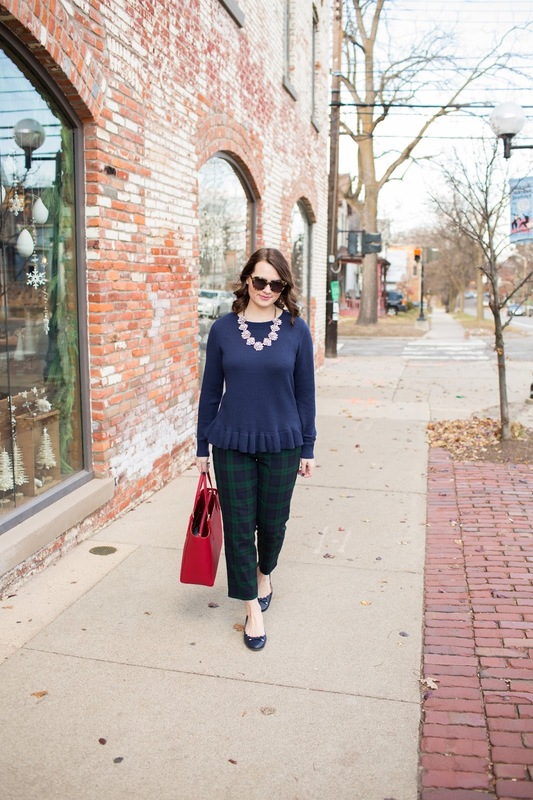 They are very versatile, and a pair that can be worn till Spring. I just bought my regular size 6 in them. Today I am finally getting another cut and color for my hair. The only problem is we are getting a ton of snow this afternoon and I am worried about not being able to make it since she lives about an hour from me. Fingers crossed it works out because I need my hair done badly! Cute!!! I want those shoes and pants in my life stat. Im in love with them. I love your entire look! So cute! 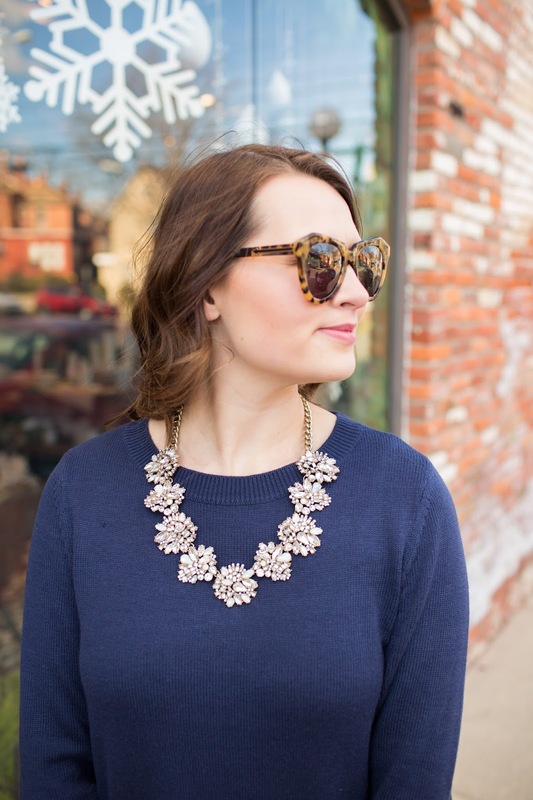 I want that necklace!! What a cute top! I adore this look! 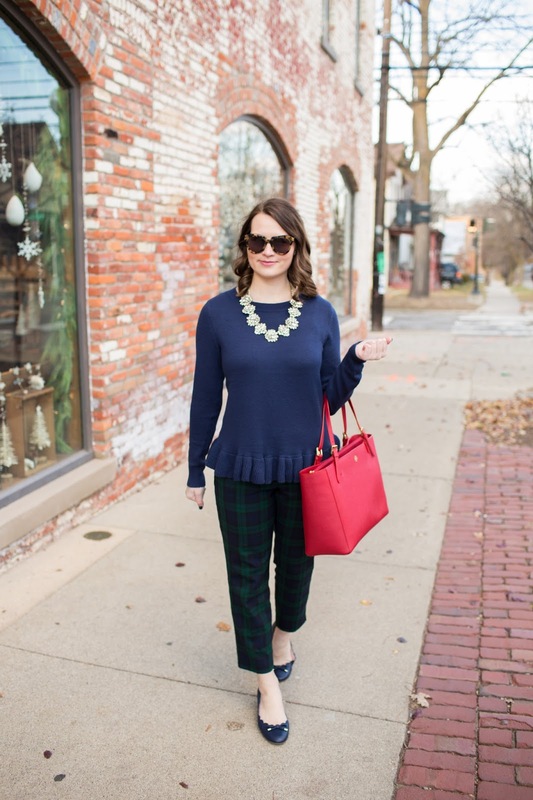 These tartan pants are SO amazing!!! Love how you styled them. 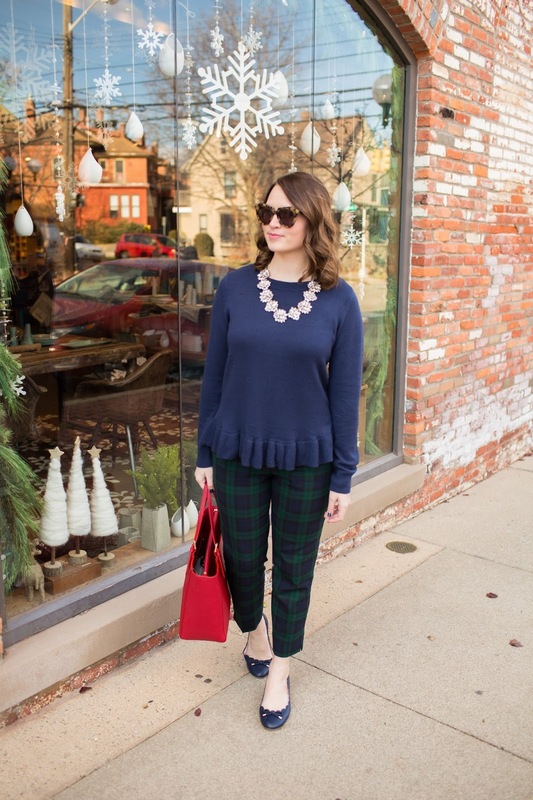 Those pants are so festive and fun! Love them! 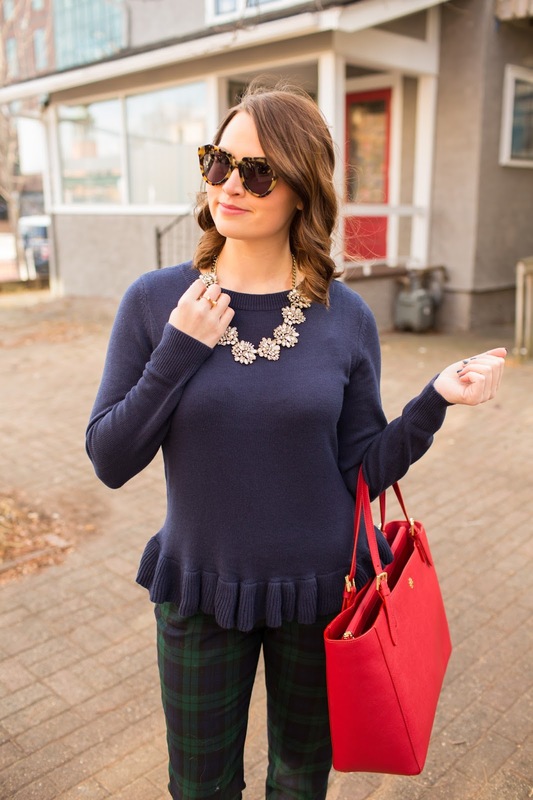 I love this ruffle top with the pants! This is such a great outfit on you. 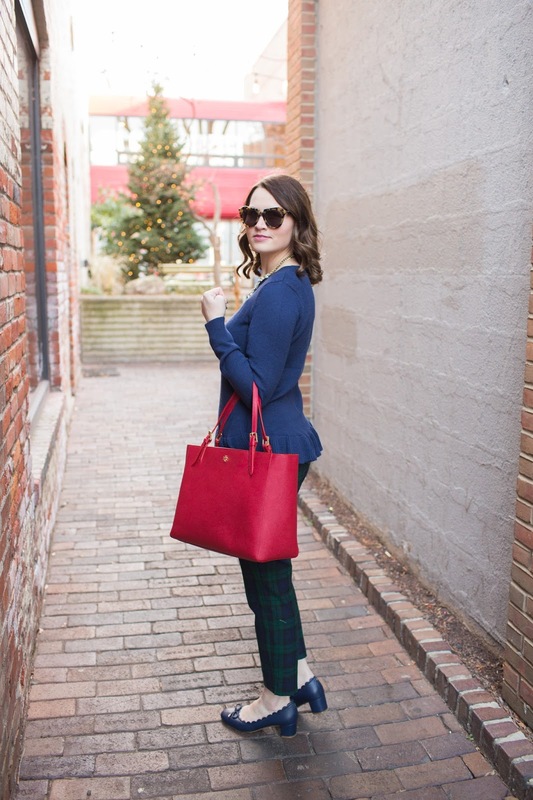 Those pants are super cute, but I love the pop of red! Such a great look! 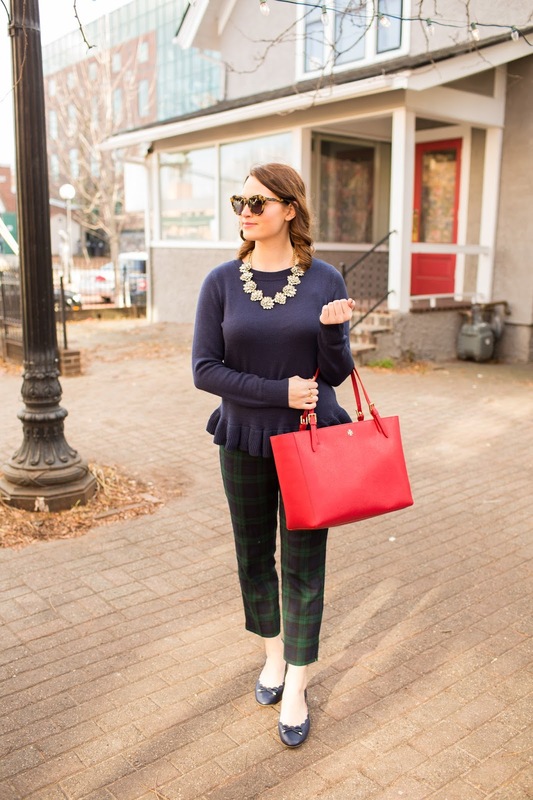 I love wearing a big statement necklace like yours with a classic sweater, and the peplum is the perfect little something special. So pretty!! 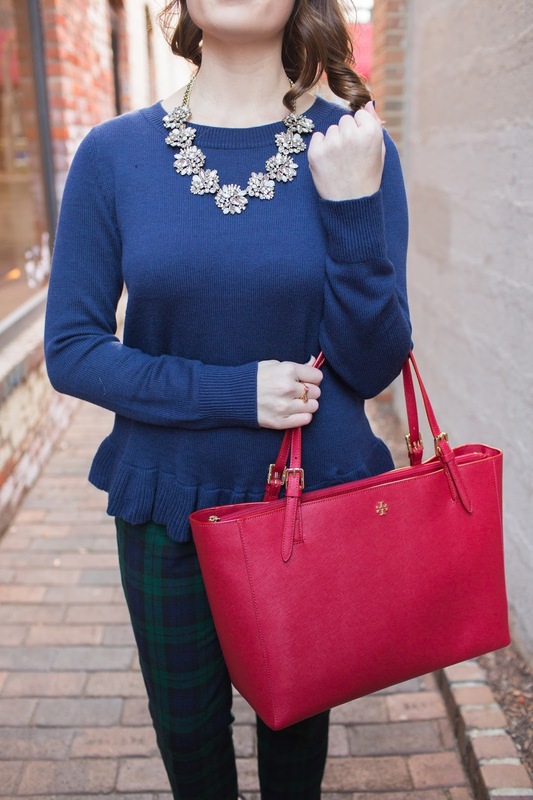 Loving that top and your accessories! !